In September 2007, InterNations first went online, and September is therefore our official “birthday month”. So, in honor of our eighth birthday, we would like to share eight essential or unusual facts about InterNations with you. 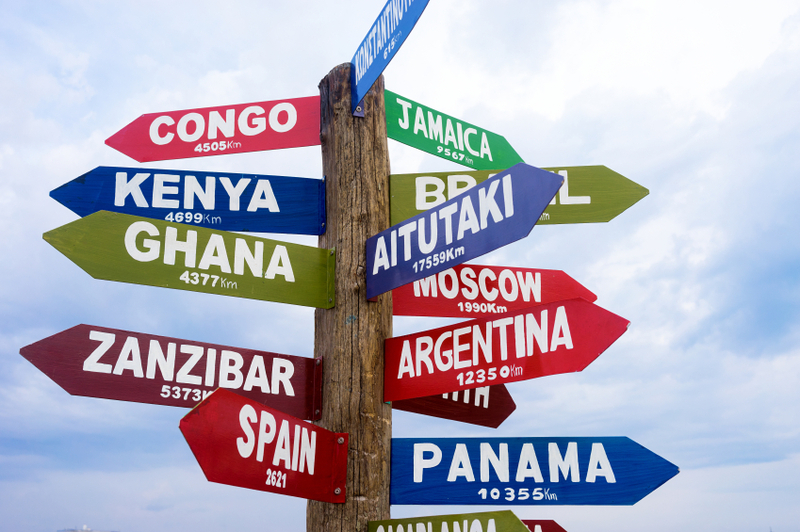 1) From CEOs to interns, we know what it’s like to be an expat. Our founders, Malte and Philipp, met long before InterNations. In 1997, they became friends during an MBA course in Switzerland. After sharing the experience of living in an international environment, both went on to work abroad after graduation: the one as a television reporter, the other as a consultant. Meeting again, a decade after their freshman days, they realized they now had the experience of expat life in common — exciting, but nerve-racking too. Thus the idea of a place for all expats to turn to was born. The international background is something most of our team members share: expatriates, exchange students, interns, globetrotters, or overseas volunteers — we’ve all been there. 2) We are based in Germany’s most international city. If you think “Germany + start-up + cosmopolitan city”, it is probably Berlin that comes to mind. The InterNations office, however, is situated 500 km further to the south. Munich isn’t only an important business location for the German ICT sector, but it also has the country’s most international population. Which makes it perfect for both our head office and our local InterNations Community. 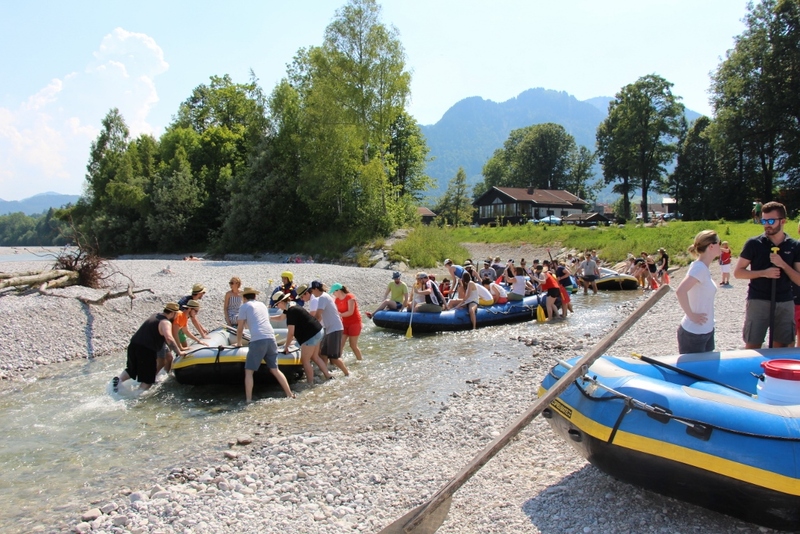 The Munich Community hosted one of the first InterNations Official Events ever, in early 2008; by now, it unites 43,000 members from virtually every country. The famous beer gardens are just the icing on the cake. 3) Our expat communities span the whole globe. Taking a look at our world map of InterNations Communities, we’ve noticed how wide our geographical reach has become. Among 390 communities worldwide, the northernmost is located in Reykjavik, Iceland, right below the Arctic Circle, while the southernmost in Christchurch, New Zealand, is almost at the ends of the earth. With regards to community size, the differences are just as stark: our biggest community is based in bustling expat hotspot Dubai and includes over 60,000 members. In comparison, the smallest active InterNations Community in the beautiful Bahamas looks tiny, with about 300 people enjoying the beaches of the Caribbean. 4) Our iconic bird is a globetrotter too. 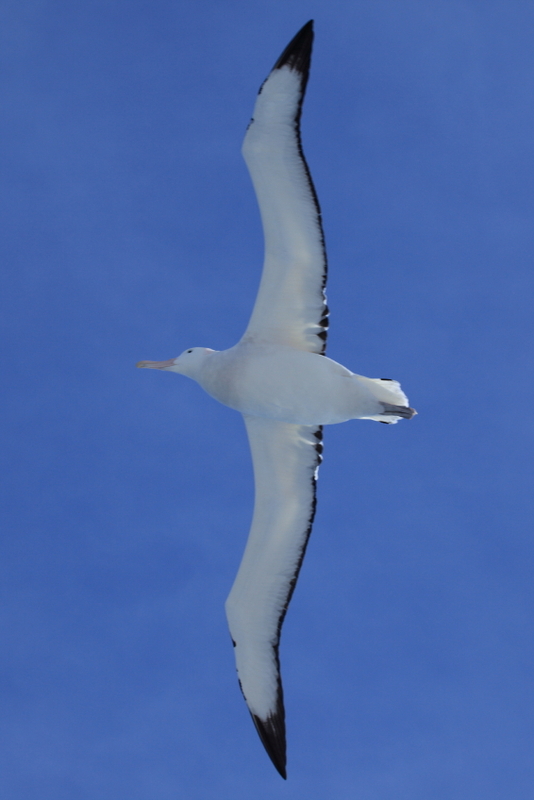 The symbolic animal in our company logo isn’t just any bird — it’s an albatross. Albatrosses are famous for traveling longer distances than any other species. Their life is one long journey, and by its end, they have often traveled millions of kilometers. We hope that our members like the symbolism of the albatross just as much as we do: our office mascot is Al, a plush albatross in a gilded cage. Each month, team members can nominate their colleagues for the “Golden Albatross Award” to thank them for a job well done. The winner gets to share their desk with Al for the next four weeks. 5) The InterNations team is (almost) as diverse as our member base. I still remember the early days of InterNations when we were a small start-up with ten employees. Today, the team consists of around 100 staff members who represent 30 nationalities and are fluent in as many languages. For obvious reasons, English and German are our two most widely used team languages, with French, Italian, and Spanish as popular runners-up. But if you need to find someone to converse with in Albanian or Arabic, Catalán or Danish, Hebrew or Russian, our office is the place to be! Language learning is a favorite activity among team members and InterNations members alike. 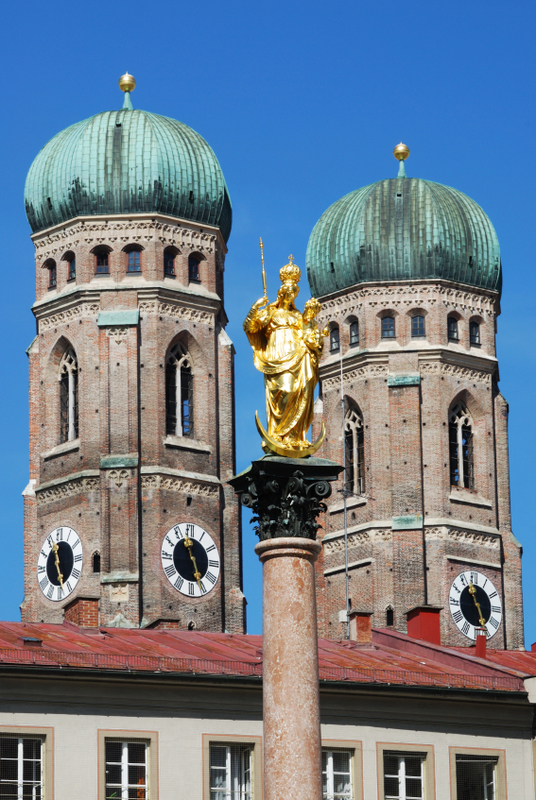 Our Munich Community alone features a dozen InterNations Groups dedicated to specific languages, while in-house German language classes are a popular benefit for our international staff. 6) And so are our interests. Once a week, our largest conference room turns into a yoga studio: if you take a peek, you can spot twenty team members perfecting the Downward Dog or the Sun Salutation. Working together, day by day, we realized how many hobbies we could share with each other — and have promptly started to do so, be it Star Wars movie nights, rafting, building a blog or learning to keep your poker face. We’re still sad that our unofficial ukulele guru will be moving back to Australia soon. 7) We keep tabs on expat life. Unlike InterNations, the annual Expat Insider survey is only celebrating its second birthday. But our “baby” has come a long way since we conceived the idea for an international overview of expatriate life in 2014. 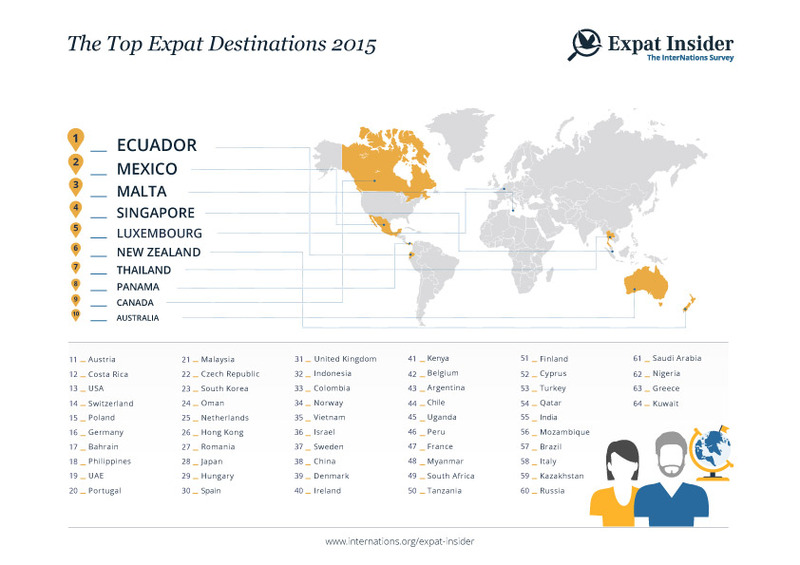 No matter if you want to know the best destination for families with kids (Austria) or where the locals are friendliest (Myanmar), which place attracts high-income expatriates (Hong Kong) or where the happiest couples live (Ecuador) — Expat Insider has the answer. 8) We try to make a difference. In addition to the regular InterNations Groups, we offer Volunteer Groups in 32 cities across the globe. Over 20,000 InterNations members now provide regular support for non-profit organizations. What have we recently done to be proud of? We’ve started to help create a garden for a community crèche in one of Rio de Janeiro’s favelas; we have organized a Singapore-based fundraiser for Cambodia’s first women’s hospital, and we have collected 1,200 hygiene products for refugees in Munich. Global change always starts in your local community. Just joined here in Internations and read this article seems very interesting…to meet new friends with different nationalities…Happy 8th birthday INTERNATIONS…. Thank you very much for your feedback! 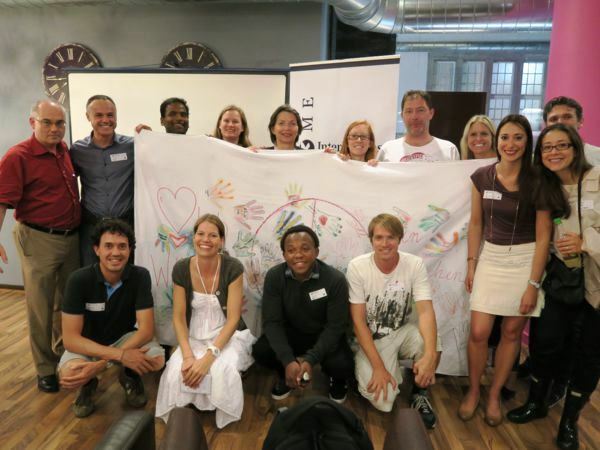 I hope you’ll enjoy being a part of the InterNations Community! Looking forward to meet new people on Monday 28 sep at Stein’s. Glad to hear you liked this post! Enjoy the event tonight! Thanks for these 8 great points. I am looking forward to being involved. Thanks for getting in touch! Hope you’ll enjoy the InterNations experience — both online and offline. I hope you’ll find an interesting event or activity to join. I’m sorry to say that…I was menber for a year of INTERNATIONS, and because of health problems I couldn’t attend your activities…No one contact me during that year!!!!!! I’m sorry to hear that. That must have been rather disheartening indeed. I hope that at least your health issues have improved now. HOLA , YO VIVO EN LIMA PERÚ, DÍGANME, HAY ALFUNA ACTIVIDAD POR AQUÍ ? …SERÍA INTERESANTE CONOCER PERSONAS POR ESTOS LARES , BUENO APARTE DE LAS QUE YA CONOZCO , ME ENCANTA CONOCER GENTE Y LOS FELICITO , ME ENCANTA SABER DE UDS., UN SALUDO PARA TODOS ….DESDE PERÚ. MIGUEL . It was very interesting reading your 8 fun facts.I have recently joined your organisation and don’t know much about all you do. My nearest contact with a group, would be in Sarajevo.I live in Bihac and don’t visit Sarajevo very often . @Jose Fernandez-Calvo: that must has cost you quite some sweating to find the word ‘Demonym’. It’s not even in the dictionary! Thanks to some bright memory of my schooldays and some classes in Greek and Latin, I could decipher it. So to be sure, I tried check it in my ample collection of dictionaries and you know what? Nowhere to be found! Thank you for your nice feedback! I hope you’ll continue to enjoy InterNations and our events. Wonderful and nice job you are doing . @Isam: Thank you so much! Just a suggestion. It would be super helpful to have a survey program available for use with our database for counsels who are trying to get responses from members when trying to organize outings. The message board just doesn’t cut it! Thank you for your feedback! However, could you please send your suggestion directly to your contact person in the InterNations Groups Team, so they can gather all ideas and proposals themselves? Thank you! Thanks a lot for your nice feedback! I’m happy to hear that InterNations helped you during your life abroad, and I hope you continue to enjoy the international experience, wherever life may take you next. Please note that, in English, the preferred demonym for Argentina is Argentine (not Argentinian, nor Argentinean). Although the latter two are widely used, I would kindly ask you to change your website to reflect the preferred (and official government) usage and refer to us as Argentines.